We are very pleased to announce that our Windows Virtual Cloud servers platform now supports Windows Server 2016. While a Technical Preview release, this will allow customers to experiment with the new Windows Server release, test new features and applications as well as prepare for future deployments once Server 2016 goes RTM. are also supported under our new Hyper-V packages. All of our templates are now fully up-to-date and include all Microsoft .Net Frameworks from v2.0 through v4.6.1. If you have any questions please contact our sales department and we will be happy to help! Virtual personal servers or shared hosting – which one is right for you and your business’s needs? Shared hosting does not allow customization, but maintenance cost and responsibility is spread out among the other users you are sharing with. It is the most common method of hosting, where CPU time, memory, and disk space is shared between all of the users. This method will be ideal for users who are looking to save money (such as if your start-up business is on its first legs and has a low beginning capital), if you will have a small employee base (shared hosting limits the amount of emails accounts you can set up), if you are expecting small numbers of daily visitors (around 500 daily), and plans to host only your website and maybe a blog or two. Shared hosting offers the advantage of economy. For less technically savvy users, it is a relief to have maintenance handled by the server. As your website expands, you are able to add on additional storage space and there are wide possibilities for installing software, virtualized software included. Disadvantages can include limited resources, the possibility of having your website’s performance affected by other sites on the server, potential scalability and backup issues, possibilities for security issues, a limited customer support, and having to configure firewalls for various applications. The shared hosting that we offer comes with many benefits such as unlimited disk space and data transfer. Check out our unique and economical plan. VPS hosting allows full customization, but comes along with the responsibility of maintenance. This host is ideal for businesses with secured data and resource-heavy applications. VPS hosting will be right for you if you are looking to expand your company, will be using confidential secured data, expect notably increased traffic, intend to add to your employee base (thus needing a greater email capacity), and have plans for hosting multiple websites, blogs, etc. There are many advantages in virtual hosting, such as the large amount of space and bandwidth, the freedom to change your subscription, extensive scalability and backup options, the ability to configure as you wish, extensive and dedicated customer support, and customizable firewall configurations. Disadvantages include the need for a dedicated system administrator to stay on top of maintenance and updates, the typically higher price, and certain applications can be fussy in a virtualized environment. We are able to offer you a very reasonably priced VPS hosting without cutting any corners on the features. Check out the details. With all the possibilities, different strengths and weaknesses, it can be confusing to select just the right server for you and your specific needs. Here are some of our options broken down to the basics. Do you run a high-traffic or mission critical website? Need support for self-hosted, high-performance databases? Want the most flexibility and control? Are you a small business owner? Run a blog? Host personal sites for family/friends? Another popular option is the virtual server. This server is shared by multiple server owners, but still allows for each owner’s administration and complete control. It is stored on our virtual cloud, saving you space while still providing you with absolute access. Virtual servers have all the benefits of hosting yourself, while saving on space, money, and processing power. 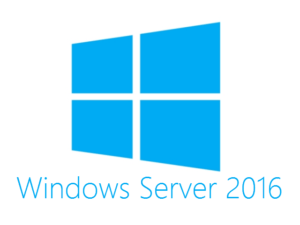 Windows Cloud Server running Windows 8.1, Windows 10, Server 2008 R2 or Server 2012 R2. Browse our many options and be sure to contact us with any questions!